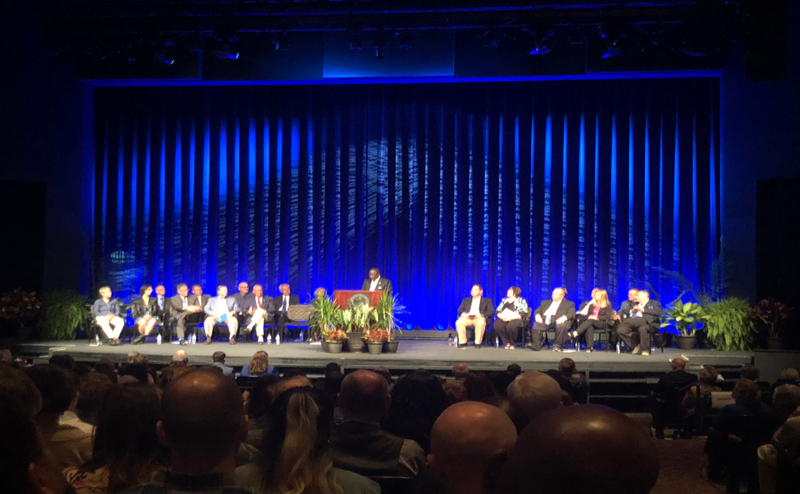 MTSU President Sidney McPhee presented awards to professors and announced university milestones with faculty and Board of Trustees members at the fall 2018 State of the University Address on Thursday. The address was delivered on campus in the Tucker Theatre. Some MTSU professors were presented awards for their teaching, and newly hired staff for each college department were welcomed by their respective department heads. McPhee welcomed attendees in his introduction. “I always take pride in highlighting the achievements of our faculty, staff and students who represent the core of our great university,” McPhee said. McPhee proceeded to announce various accomplishments that the university had fulfilled over the past academic year. McPhee spoke about the School of Nursing’s collaboration with high schools to “build a pipeline” with students for the education of future nurses and healthcare providers. “Students who enter as freshmen majoring in health sciences are (now) provided a direct pathway through guaranteed admission in the school of nursing,” McPhee said. McPhee then shifted to the subject of research funding. He said that 52 principal investigators at MTSU received 69 new grants and contracts, totaling at more than $10.6 million over the past fiscal year. “Collectively, the university managed a total of 192 grants and contracts with a total portfolio (with) a value exceeding $40.3 million,” McPhee said. McPhee then listed several of these grants. 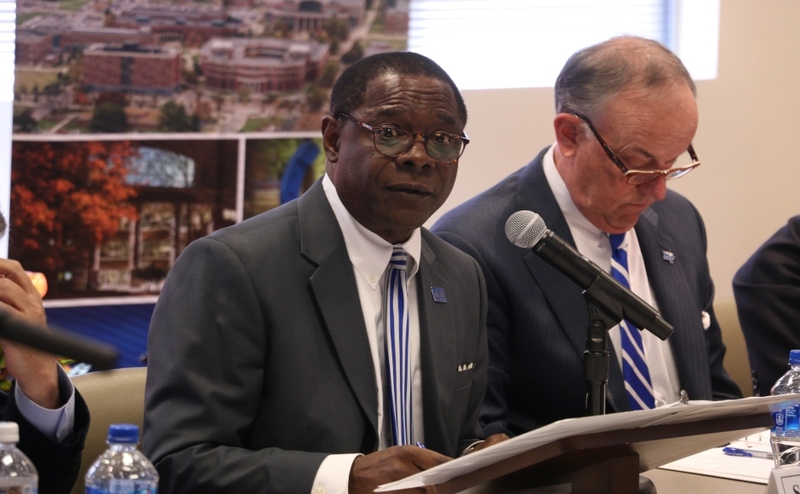 After speaking about the university’s many achievements over the past year, McPhee began to address some of the challenges that MTSU is currently facing. 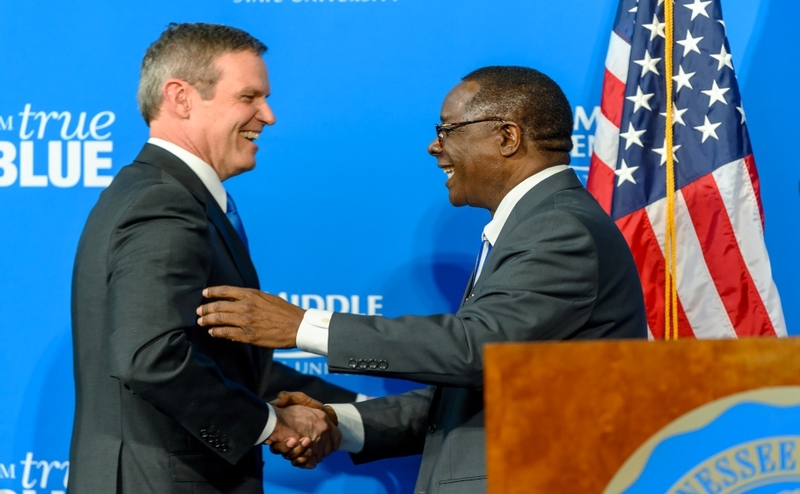 McPhee said that even Harvard’s Graduate School of Education and The Bill and Melinda Gates Foundation brought a contingent of researchers to MTSU to learn about its strategies. For the university’s future, McPhee projected a great deal of building. He explained that the building will house new facilities for behavioral and health sciences and provide classroom space and labs for criminal justice, psychology and social work departments. This building is projected to be finished by 2020. McPhee said that Peck Hall’s renovation is nearing completion with new furniture, lighting and ceilings. He said that the construction on Middle Tennessee Boulevard is also nearing its completion. Supposedly, the construction will be completed by December 2018. However, McPhee noted that it was initially supposed to be completed in December 2017, and it may take more time. McPhee also noted that the new Parking Services facility is projected to be completed by the end of 2019. He stressed the importance of having patience during this improvement to campus infrastructure. “It’s progress that’s being made,” McPhee said. McPhee spoke next about raises for MTSU faculty. McPhee said that the university compensation plan has now been updated from 2011’s projected 2014 and 2015 market data to more current market data. “This will put $3.7 million into addressing the gap between actual employee salaries and market salaries as reported by CUPA,” McPhee said. Due to limited funding, McPhee said that these increases will not apply to adjunct faculty, temporary employees, graduate assistants or students. McPhee briefly mentioned the possible Valparaiso University Law School transfer to MTSU, which is still under negotiation. McPhee closed his university address by thanking MTSU faculty for their work. 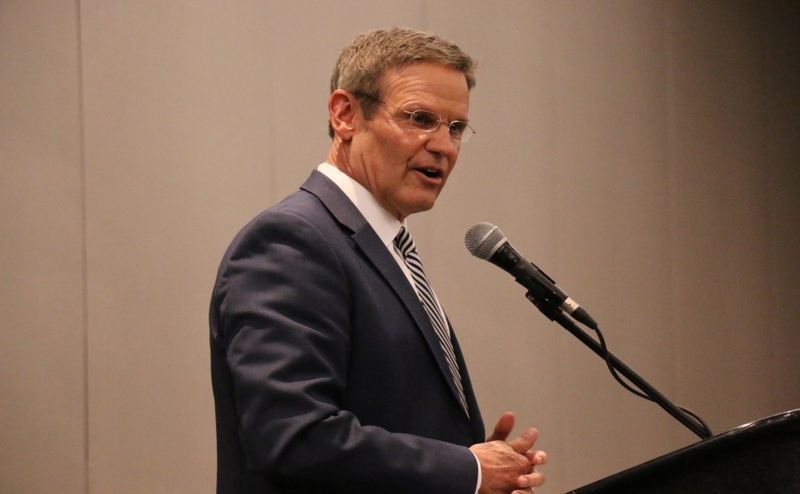 “I thank you for your passion, for your purpose (and) for your true blue commitment as we begin a new year and forge a bright path ahead, and I hope you have a great academic year,” McPhee said. After McPhee’s speech, faculty members were introduced to the audience one at a time by members of their department. 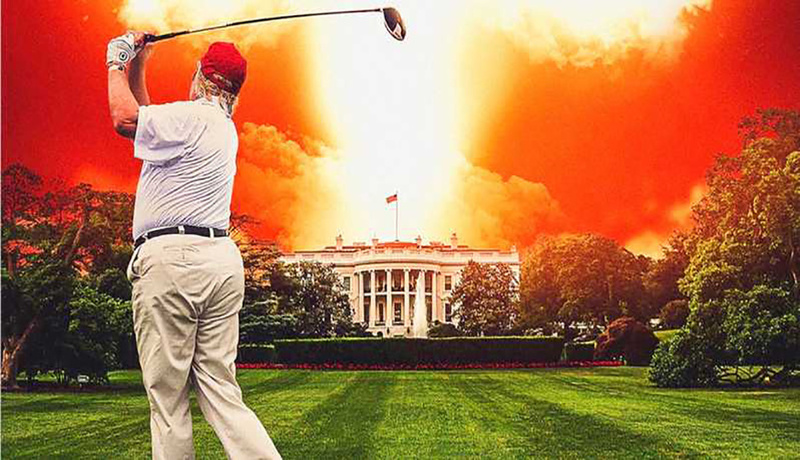 Although most of this went as planned, there was a moment toward the end of the event when several people who were waiting in the audience began to chant in protest of one of the newly hired professors, claiming that he was a “Koch spy.” After several chants, the protesters promptly left the room, and the event continued to its conclusion. In 2018, a campaign was launched by a group of students and faculty members against a $3.5 million grant from the Charles Koch Foundation. The grant was provided to MTSU to launch the “Political Economy Research Institute” on MTSU’s campus. It is unknown as to whether the “Koch spy” chant was related to the campaign against the Koch grant.